In the wake of hundreds being affected by the 2017 Atlantic hurricane season, many persons are encouraged to give and give genuinely. The 5 major hurricanes, the highest number since 2010, make 2017 potentially the costliest hurricane season on record, with a preliminary total of over US$224 billion in damages thus far. There is little doubt, that 2017 is turning into a year of historic significance, in the face of the struggle against climate change, and the real effects on communities around the globe. 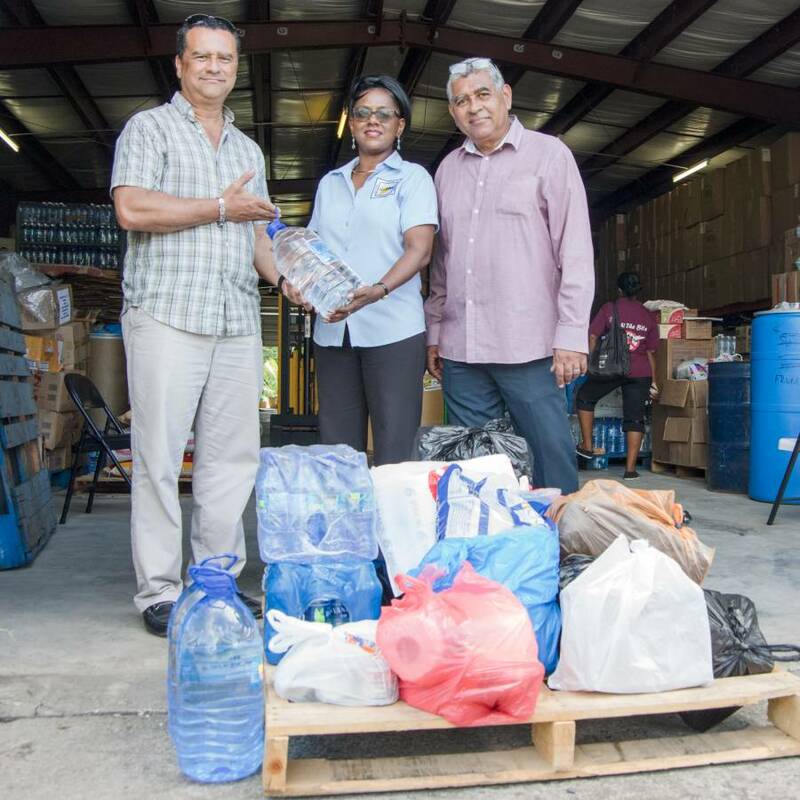 In Grenada, many of our corporate businesses as well as individuals have come together, to lend support and assistance to our fellow islanders in wake of the volume of extreme weather events. The Grenada Motor Club (GMC), organiser of International Drags Grenada, sought to make a difference to the islands hit by recent hurricanes, through its Test & Tune sessions held on Saturday, 23 September. Speaking at the handover ceremony to the National Disaster Management Agency (NaDMA), President of the GMC Angus DaBreo, thanked the local racers for their contribution and support of the initiative. Following further consultation and discussion with race enthusiasts and drivers in the region, in the aftermath of the hurricanes, the GMC has made a decision to hold an Invitational Drag Racing Event in November, in place of the initially planned International Event announced earlier on this year. Ian DaBreo, the club’s PRO, advised that although the club is not in expectation of as many cars from the islands, as the rebuilding stage is still ongoing. Support can be anticipated from Trinidad & Tobago, St Marten and of course host country Grenada. GMC Invitational Drags will take place 18-19 November 2017.